We are pleased to announce a Special Event we are hosting for AHEPA District 5 (New Jersey) in Association with AHEPA District 6 (New York) on Thursday, October 5 at the 3 West Club (3 West 51st St.) and ask you to join us. 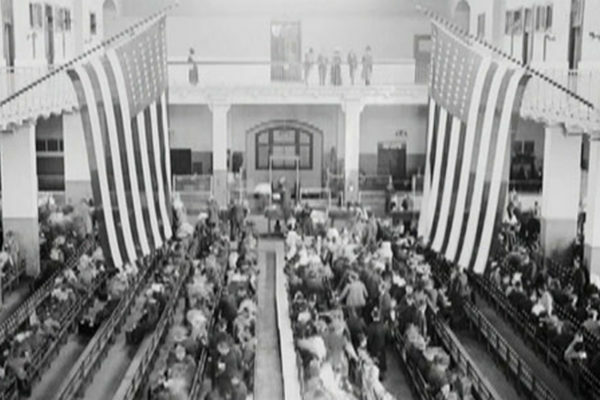 The event will center on the announcement and discussion of AHEPA’s “OXI Day Commemoration- Importance of OXI Day in the Modern World” which will be held on OXI Day (October 28) on Ellis Island (http://oxi-day.com). OXI Day (October 28, 1940) a national Hellenic holiday represents when the Hellenic Prime Minister Metaxas was awoken to respond to a series of demands from a representative of the WW2 Axis Powers which would have allowed foreign troops free reign in Greece a neutral nation at the time. His response to these demands a simple “OXI/NO” led to battles of historical international consequences for Europe and the free world. It was the first time in the European theater that the Axis Powers were defeated after taking over country after country, raised the hopes of occupied Europe, and caused the Nazi forces which were scheduled to attack the Soviet Union to divert their forces and invade Greece instead. This diversion led to a delay in the Nazi invasion of the U.S.S.R. and the Nazi’s eventual defeat there in the Soviet winter. As per the title of AHEPA’s Ellis Island October 28th event, OXI Day had an importance that went beyond the Hellenic Republic. Brief presentations on that will be made on October 5th at the 3 West Club by a special committee of AHEPA members which include Supreme Governor Thomas Dushas, District 5 Governor Zenon Christodoulou, District 6 Governor Theodore Stamas, Asteris Fanikos, James Zafiros, and Louis Katsos (EMBCA’s President). From 6 – 6:30 PM we will have a coffee/tea meet and greet, and presentations will start at 6:30 PM. We at EMBCA are honored to host and sponsor this event, hope you will join us, and which will be at no charge to those that attend.